Bombardier Business Aircraft and Aviation Performance Solutions (APS) Together Provide In-flight Upset Recovery Training Services as Part of the Bombardier Leading Edge Program to Crews of Recently Purchased Learjet, Challenger and Global* business aircraft. Through Pilot Education and Skill Development, Effectively Delivered Airplane Upset Prevention and Recovery Training (UPRT) Reduces the Risk of Loss of Control in-Flight (LOC-I), the Cause of the Most Fatalities in Commercial Aviation Worldwide over the Past 10 Years. Orlando, FL (PRWEB) October 31, 2016 – Bombardier Business Aircraft and Aviation Performance Solutions (APS) announced today at the National Business Aviation Association (NBAA) Business Aviation Convention and Exhibition (BACE), the 3-year renewal of Aviation Performance Solutions LLC (APS) as its long standing provider of In-flight Upset Prevention and Recovery Training (UPRT) for Bombardier’s innovative Leading Edge program. The training is provided to crews of recently purchased Learjet, Challenger and Global Express business aircraft. This ongoing industry safety initiative is the result of both companies’ steadfast commitment to enhanced safety through targeted flight training solutions and pilot education. The multi-year UPRT commitment between Bombardier Business Aircraft and Aviation Performance Solutions reassures both general aviation and corporate operators that LOC-I, the leading cause of crash-related fatalities in aviation worldwide, will be comprehensively addressed by progressive manufacturers and safety organizations. The Bombardier and APS UPRT solutions include web/tablet-based academic, on-aircraft all-attitude piston and jet, and advanced simulator upset training in direct compliance with ICAO’s global initiative to take UPRT to an unprecedented level of diversity and effectiveness. APS UPRT courses are available to Bombardier customers at five locations globally to include the USA, Europe, and the Middle East. Aviation Performance Solutions LLC (APS), headquartered at the Phoenix-Mesa Gateway Airport in Mesa, Arizona, trains thousands of professional pilots and instructors in comprehensive upset prevention and recovery training skill development. 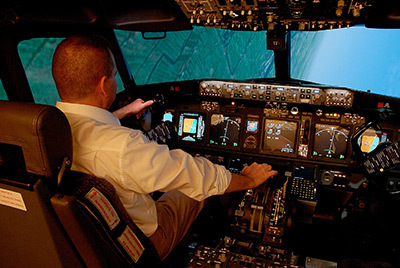 APS provides integrated LOC-I solutions via industry-leading computer-based, on-aircraft (jet and piston), and full-flight simulator upset prevention & recovery training (UPRT). All training is in full compliance with the Airplane Upset Recovery Training Aid, FAA Advisory Circular 120-109A on Stall and Stick Pusher Training, ICAO Manual on Aeroplane Upset Prevention and Recovery Training, IATA Guidance Material and Best Practices for the Implementation of Upset Prevention and Recovery Training, and the FAA Advisory Circular 120-111 on Upset Prevention and Recovery Training. APS is the only Part 141 Flight School certified in the delivery of complete upset prevention & recovery, stall/spin and instrument upset recovery training courses worldwide. With additional training locations in Dallas (USA), The Netherlands (Europe), Saudi Arabia (Middle East) and military division in Dothan (USA), APS provides global access to the highest quality upset prevention and recovery training available. www.apstraining.com.